Maxi-Cosi Hera car seat - a dream ride! Maxi-Cosi Hera car seat – a dream ride! If ever there was a dream baby car seat, this Maxi-Cosi Hera convertible car seat has to come close. Read on to find out why! It’s got all the bells and whistles you could ask for in a car seat – immense safety qualities including Air Protect Revolutionary Side Impact Technology, an amazing system that shields a child’s head by immediately reducing side impact forces through precise release of of air. 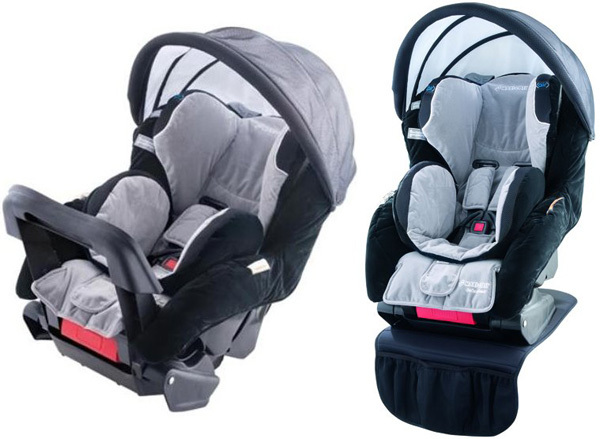 The Maxi-Cosi Hera also has a six point safety harness and three adjustable base positions. The seat cover is completely machine washable, unhinging any squashed sultanas and milk spills, leaving it to look like new again. Comfort is paramount with a heap of extras such as padded belt mates, shoulder harness protectors, an insulated drink pocket and a sun canopy, just to name a few – but all making for one extremely cosy ride! Maxi-Cosi Hera is designed for newborns to twelve-month-olds in the rearward facing position and for children up to four years (depending on height) in the forward facing position. The Maxi-Cosi Hera comes in three colours – ash, stone and olive – and is $449.95 at Minimee. If you’re super quick, you can take advantage of the sale price of $382!